Need a TARIS this week visiting Ballymena, Castlewellan, Victoria, Brighton, Craigavon, Holywood Exchange and the parks – over the jump! 65 Danielle McCluskey 00:42:42 New PB! 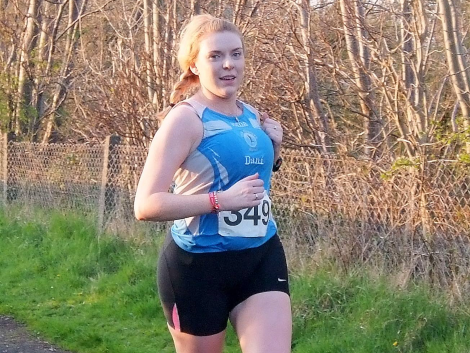 Belle: Danielle takes a PB spin to Ballymena! 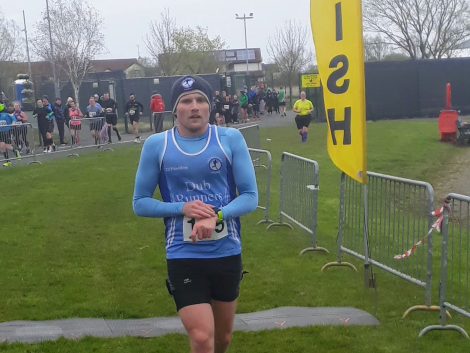 24 Steve Todd 00:35:52 M45 Winner! Castlewelldone: Niall, Paul, Steven, Sean & Bernie became our Dub Goats for the evening! Castlewelldone: Who doesn't love a good selfie?! 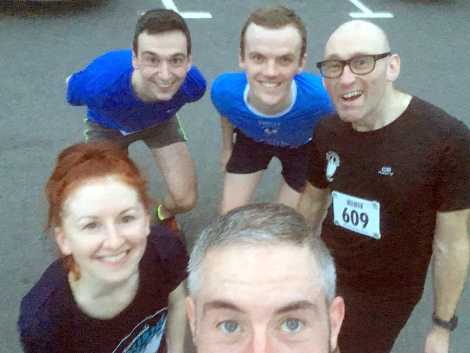 5 Jim Larkin 00:18:20 Massive New 5k PB! 22 Ryan Love 00:20:16 New PB! 25 Rob Walker 00:20:40 New PB! 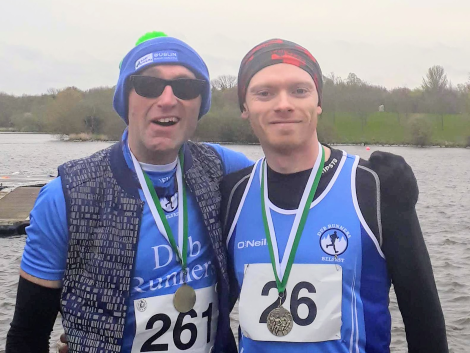 50 Ronan McCaughey 00:22:09 New PB! 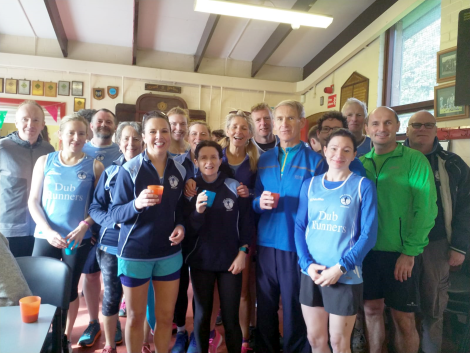 83 Maire McCaughey 00:23:23 New PB! 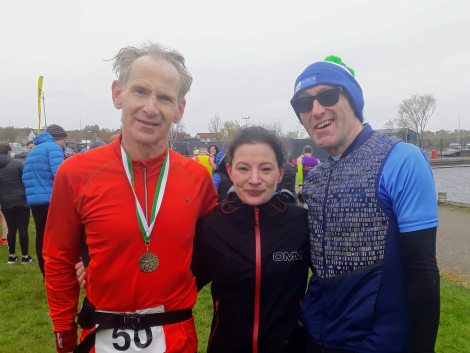 149 Anne Marie Ryan 00:26:39 New PB! 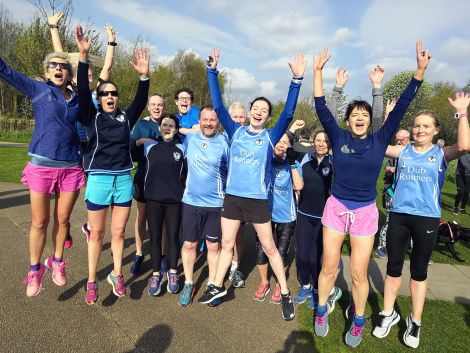 250 Not Out: Nessa and the Dubs jumping for joy! 250 Not Out: More sensible photo in the clubhouse with cake! Freezin' Lakes: Andy after six laps. Freezin' Lakes: Brian D, Collette and Steven looking cold - but happy! Freezin' Lakes: Andy and Jimbo on the tear after that one! 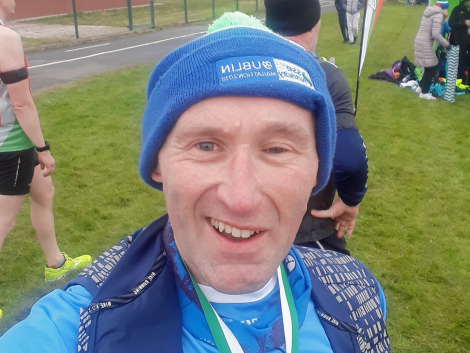 Freezin' Lakes: Jimbo crosses the line! Freezin' Lakes: Steven and Philip looking happy to be done! Freezin' Lakes: Who doesn't love a selfie!? 25 Roisin Byrne 00:45:05 Third Place! 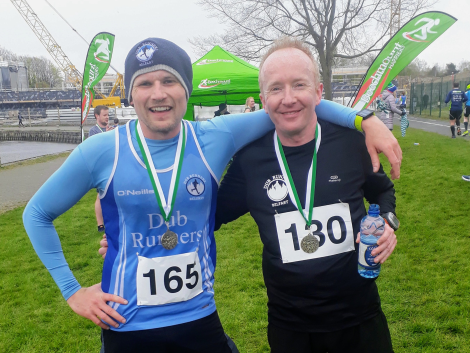 Some consistent Dub running right there – that is one tough route to keep going on, a double lap for the half marathon – you really need to stay focused, as Brian can fully atest to after that race of attrition! With Roisin posting an impressive time in the 10k race it made for a successful Dub day out! No photos though, which is always sad! 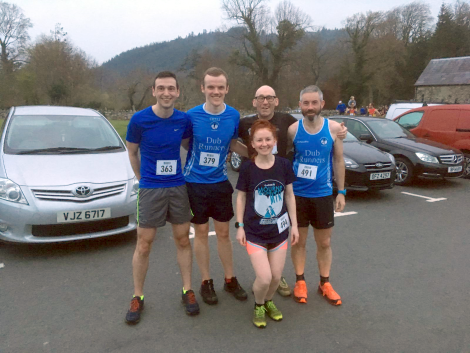 Fantastic running Katherine – only one blue top taking part! 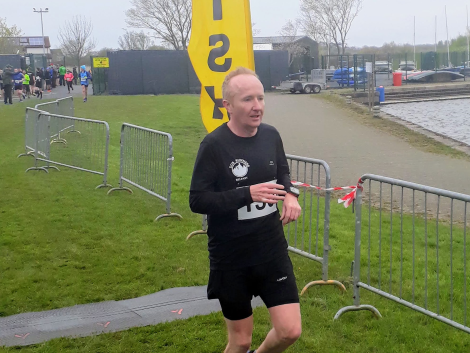 While conditions were good, it was impressive to hit a sub 3:50 marathon on a day like that! If the smile in the photo doesn’t give it away – you loved this one, and it showed. Now time to go sightseeing and enjoy some time away from reality while gloating that you’ve just completed a marathon! Right-on: Katherine all smiles after a sub 3:50 marathon! Joanne MCGLONE 00:29:05 New PB! Bernadette O'KANE 00:22:43 2nd Place! Noel KELLY 00:19:31 3rd Place! Newbie PB! Niall MCCRORY 00:19:28 1st Place! New PB! 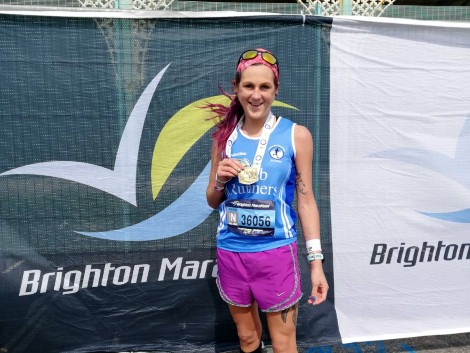 Brona SHAW 00:29:45 Newbie PB! 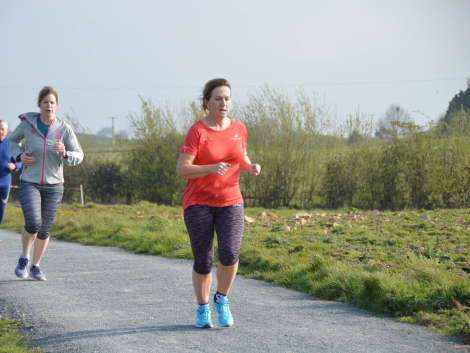 parklife: Brona tackles Deerpark while doing some parkrun tourism! Please, no one remind us here at Roundup Towers that the next two editions of the Roundup fall over holidays – and that holidays equate to more opportunities for racing (who said it equates to spending more time with family and friends, are you daft?!) Don’t be sneaking in any races – make sure to let us know! I’d like to put on my science hat for a moment and talk about the picture of the black hole (the space one in case there is any confusion) that was released last week. I have to say, if you didn’t find that photo impressive – then I am afraid that you don’t understand the gravity of the situation.